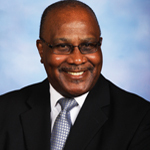 The Florida SBDC in Gretna is a satellite center of the Florida SBDC at Florida A&M University (Florida SBDC at FAMU) region serving aspiring and existing small businesses in Gadsden County with no-cost consulting, low-cost training, and access to business data and research resources. In addition to its core service offering, the Florida SBDC also offers specialized services to qualifying companies, including capital access, market growth, government contracting, international trade, business continuation, cybersecurity, disaster planning and recovery, and more. The Florida SBDC at FAMU region serves an eight-county area that includes Franklin, Gadsden, Jefferson, Leon, Liberty, Madison, Taylor and Wakulla counties, and maintains the Gretna satellite center in addition to the main office in Tallahassee. Visit www.sbdcfamu.org to learn more. 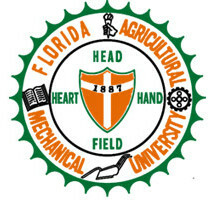 The Florida SBDC at FAMU is a member of the Florida SBDC Network, a statewide network of more than 40 offices from Pensacola to Key West to serve the needs of Florida’s business community. Since 1976, our network of partners has helped construct a statewide ecosystem to foster the spirit, support, and success of hundreds of thousands of entrepreneurs and innovators. Please contact the Florida SBDC in Gretna at 850.561.2036 or visit www.sbdcfamu.org.